This post is sponsored by Butterball, but as always, all opinions are 100% my own! 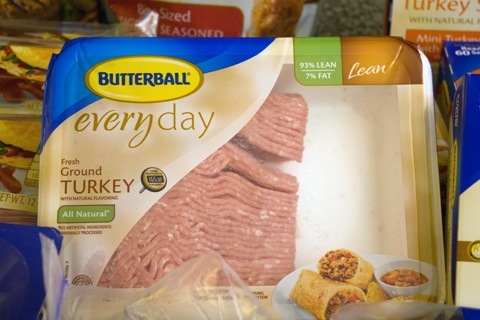 If you’ve been reading We are not Martha for a while, then you all know we’ve been working with Butterball for quite a few years. We’ve spent lots of time learning how to make a Thanksgiving turkey and have even traveled to the Turkey Talk-Line several times to learn from the best of the best. We’ve also written blog posts for Butterball.com about how we celebrate Thanksgiving and have talked about everything from what to do with Thanksgiving leftovers to how to set a pretty table. 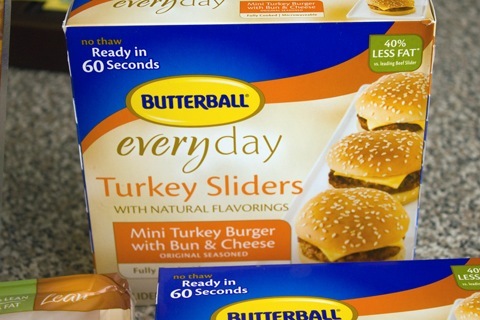 We’ll still be blogging with Butterball this Thanksgiving, but I’m also working with them on their new Turketarian program. I’ll be creating several recipes with this turkey goodness. In fact, I’ve already gotten started on them! 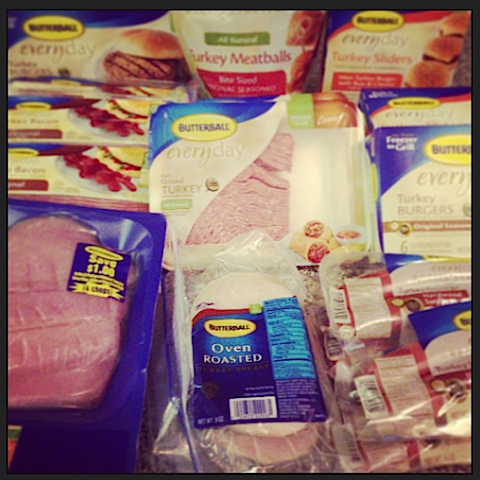 But first, I wanted to give you a little preview of everything Butterball has available. Because it’s a lot! Turkey Burgers. You should always have a box of these in your freezer. Because they’re awesome. And have 70% less fat than beef burgers. Turkey Sliders. These are one of those products I would generally not buy. 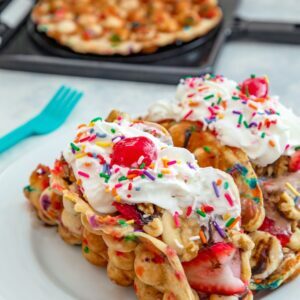 But I have to tell you that I tried them the other night when I got home super late from work and could not even bear the thought of getting out a frying pan. And they’re not only super duper easy, but they taste incredibly fresh and homemade. I was totally surprised. Plus, you don’t have to thaw them, so you can really make them a game-time decision. Ground Turkey. I already generally always use ground turkey when I’m making tacos. Because I eat A LOT of tacos and the lean 93/7 turkey is healthier than beef. 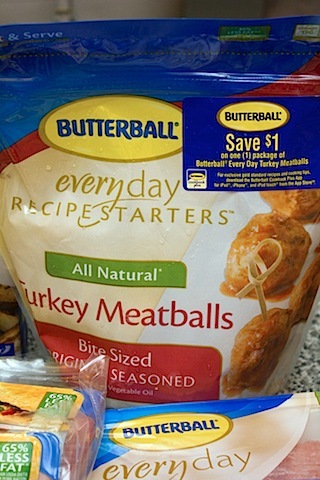 I have to say, even Butterball’s packaging is far prettier than anything on the market. Oven Roasted Turkey Breast. Because I can’t even tell you how many days out of the week I’m too tired/lazy/uninspired to make lunch to bring to work. And if I could put this turkey breast on a sandwich with some avocado, lettuce, and tomato, I’d be a whole lot happier when 12:00 hits and I’m at work and starving. Recipe Starters Hardwood Smoked Turkey Sausage. It seems like chicken sausage is all the craze these days. But why not turkey?? I had this sausage for breakfast the other morning and it was so flavorful and satisfying and basically I want to eat it for every meal. Turkey Bacon. Hooray! 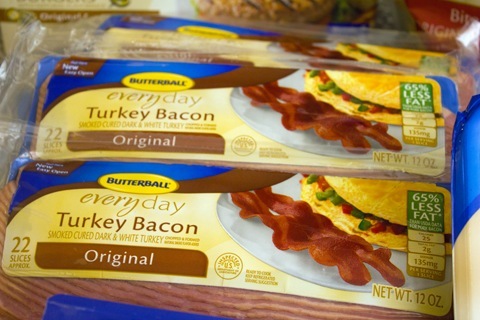 I’m a big fan of Butterball’s Turkey Bacon. 65% less fat than pork bacon and crisps right up and totally satisfies my bacon cravings. Plus, less fat means I can eat more. That’s called justification. And I’m OK with it. Turkey Meatballs. Meatballs are one of the foods I crave most often. I can’t explain it, but I just love them and get random weirdo cravings. I’m envisioning myself putting these on a nice sub. 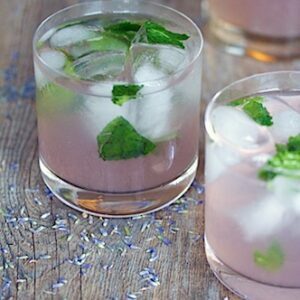 Or serving them as a simple party appetizer for one less dish to cook. 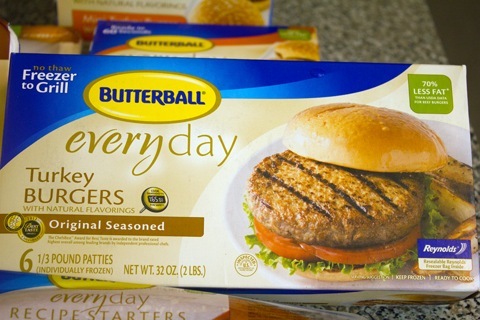 Believe it or not, these are not the only products Butterball has. 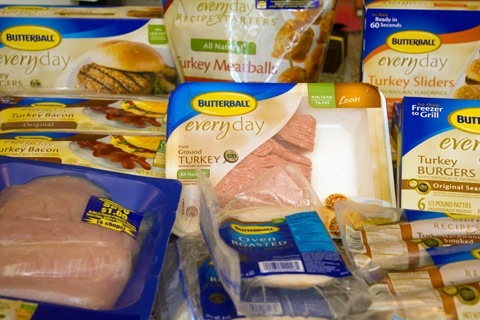 They have tons of other turkey products… enough for you to incorporate turkey into your diet every day of the week. Or multiple times a day, really. Since it comes in so many different forms, there’s not even a chance you’ll get sick of it! Don’t you think I would know by now? Butterball has a Turketarian quiz up on their Facebook page right now so you can see what kind of Turketarian you are. 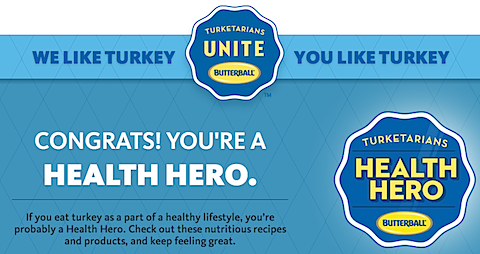 I took it and it determined that I’m a “Health Hero,” which means I eat turkey as part of a healthy lifestyle. Hooray! You should take it, too, and let me know what kind of Turketarian you are. Like I said, best word ever. 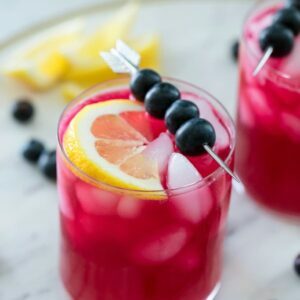 You can also download the Butterball app for tons of fun recipes and ideas for using turkey in recipes all year round and check out their Instagram @ButterballTurkey for a behind-the-scenes look at all things turkey. Stay tuned for upcoming posts that will showcase some of the fabulous ways I’ve been incorporating turkey into my daily meals. I’ve been having a blast creating new recipes with the above products and I can’t wait to show you! 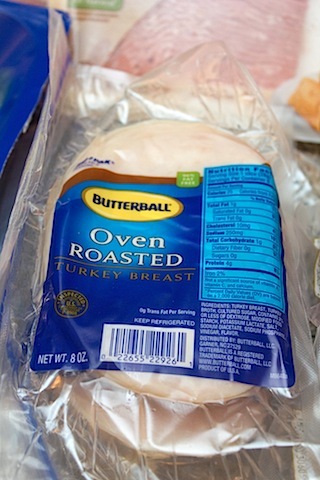 Also, if you’re going to be around tonight, be sure to join the Butterball #Turketarian Twitter Party at 8:00 p.m. EST. Be sure to RSVP for some turkey talk and a chance to win some fabulous prizes! Do you consider yourself a Turketarian? 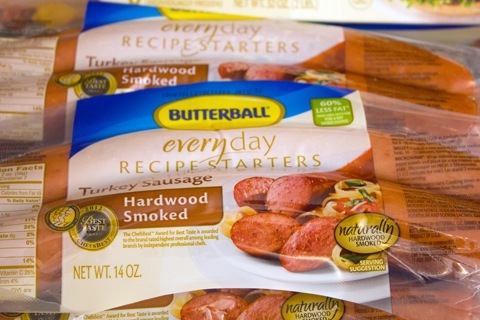 Have you enjoyed any Butterball turkey products? Disclaimer: I’m currently working with Butterball and was compensated for this post. However, as always, all opinions are completely my own! I hope it’s clear by now that I really am a Butterball fan and am psyched to be working with them once again! 5 Responses to "Butterball Turketarian’s Unite!" So much turkey. So delicious! The sliders are too cute! I’ve never seen those. I definitely use ground turkey a lot for tacos and such. 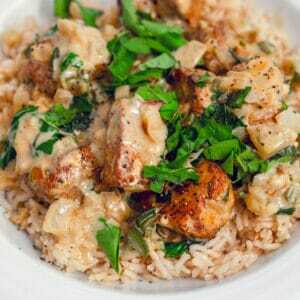 I use ground turkey in our dinner at least once a week!. Kaylin is already a huge fan. I should pick up some of those turkey meatballs to keep in my freezer for those nights when I need something quick! 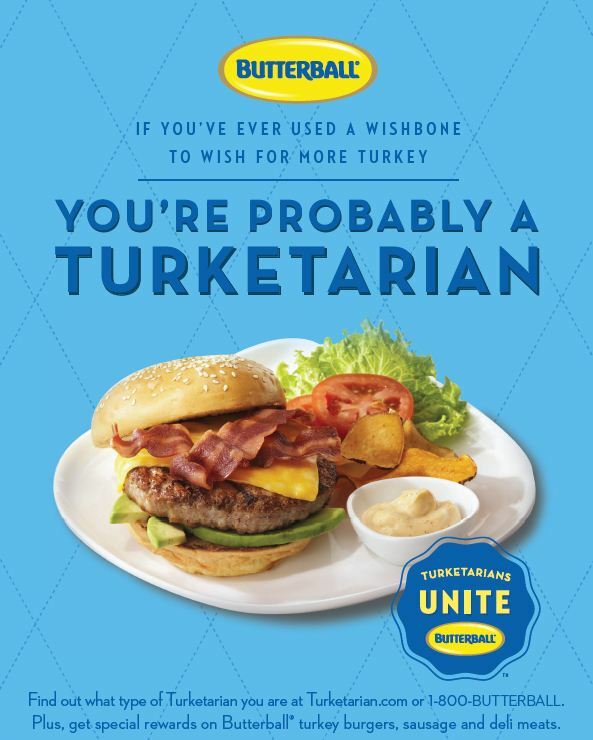 Turketarian…now that totally made my day! Love that word! I am going to have to try those sliders. I normally wouldn’t buy them either but you make them sound so good!